MATinspired will be running a 2-day workshop on metallography. During this workshop, we will provide a practical introduction to the analysis of microstructures in metals and other materials. We will provide explanation about the preparation of samples (cutting, embedding, grinding, polishing and etching). Along with this, the workshop will cover the characterization of structures through microscopy. The workshop is intended for laboratory managers and R&D employees who are working in the field of metallography. We have a wide range of samples available for use during the workshop. A participant may bring his or her own sample of material that can be prepared. This could include metals, ceramics, composites or a metal with a coating. In this way, a workshop participant can analyse their own material throughout the workshop. The workshop will be given in the material science laboratories of MATinspired. The workshop will consist of 2 parts, one theoretical and one practical. During the workshop, we will provide an explanation on how to prepare and examine various types of materials. The workshop is spread out over 2 days. For dates and costs, please contact us via email ( info@matinspired.nl). 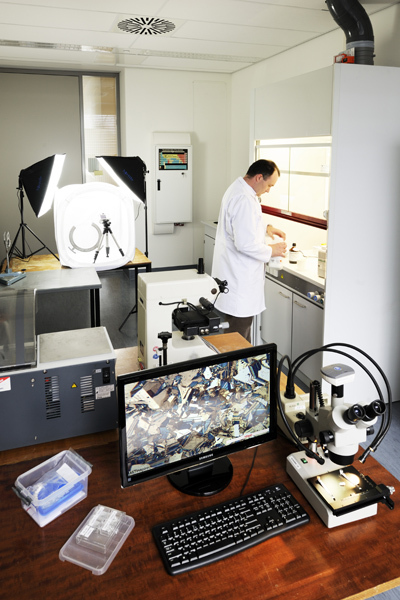 Workshops can be given at another location if requested, although the workshops are typically given in the MATinspired labs, (Gate2 – Aeroparc Gilze-Rijen, Ericssonstraat 2, 5121 ML Rijen). The workshop will be given by Dr.ir Niels Kuijpers (PhD), who has numerous years of experience and practical knowledge in the fields of materials and metallography. Every participant will receive a certificate at the end of the workshop as proof of participation.